You are currently browsing the tag archive for the ‘Alonzo Mourning’ tag. In case you didn’t hear the news, the Charlotte Bobcats era is ending and the Charlotte Hornets are returning (Michael Jordan says Bobcats will change name to Charlotte Hornets). 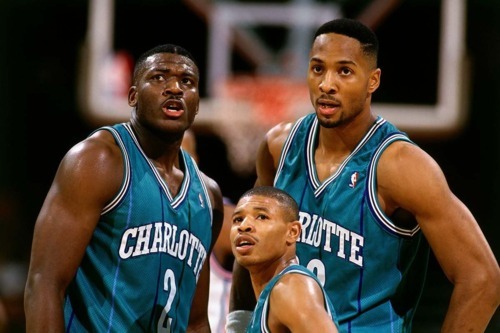 While I don’t really have a favorite NBA team, I sure did love watching LJ, Mourning, and Muggsy back in the day. In honor of Charlotte’s good decision, here are some great moments of Muggsy Bogues showing that a 5’3″ dude could hang with the big fellas in the NBA. Plus, you gotta love Larry Johnson and Muggsy’s roles in Space Jam.